Gary Moore has confirmed that Ar Mad will be entered for the rescheduled Clarence House Chase, which will be run at 1.45 on Saturday's Trials Day at Cheltenham after Ascot was cancelled owing to frost. Moore had expressed reservations about the suitability of Cheltenham for his bold-jumping Tingle Creek fourth, but his main concern now is the ground. He said: "He'll be entered with a view to running, but it will be dependent on the ground, as he doesn't want it too quick. 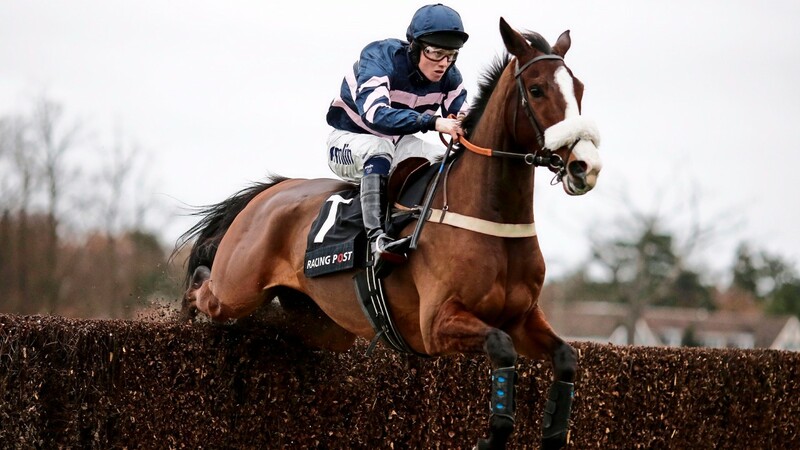 If he doesn't run there he'll wait for next month's £150,000 Ascot Chase over two-miles-five." Willie Mullins has already confirmed his intention to run last year's winner Un De Sceaux, who is proven at Cheltenham after winning the 2014 Racing Post Arkle Chase and finishing second in last year's Betway Queen Mother Champion Chase. Last Saturday's Ascot field also included another past winner in Dodging Bullets, who won in 2015 on his way to Champion Chase glory. The Grade 1 Clarence House Chase will now be sponsored by Spectra Group, a leading international provider of cyber security solutions which will be sponsoring at Cheltenham for the first time. However, while retaining Grade 1 status its total prize fund of £70,000 will be significantly smaller than it would have been at Ascot, when £125,000 was guaranteed and the value for the winner was £71,187. Ian Renton, south west regional director for the Jockey Club said: "I am delighted we have been able to work with the BHA to reschedule the Clarence House Chase and that Spectra Group will be sponsoring the race. Myself and the team are looking forward to a marathon day."